Going on a long vacation isn’t always an option, so when it’s time for a weekend getaway, the key is to go somewhere that truly feels like you’re escaping your regular routine. That’s exactly what you get from the moment you arrive at the Grand Del Mar, an elaborate Mediterranean-style resort tucked among the rolling hills of Los Peñasquitos Canyon Preserve. This five-star resort is only about 20 minutes from downtown San Diego, but it feels like a world away. 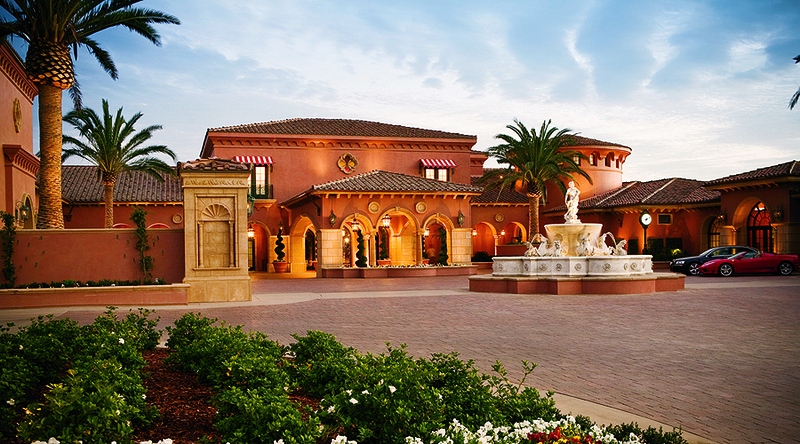 There’s only one five-star resort in San Diego County and the Grand Del Mar is it. Once you get past the front security gate and drive alongside the expansive golf course you’ll arrive at the main entrance and realize you have just entered a world of luxury. 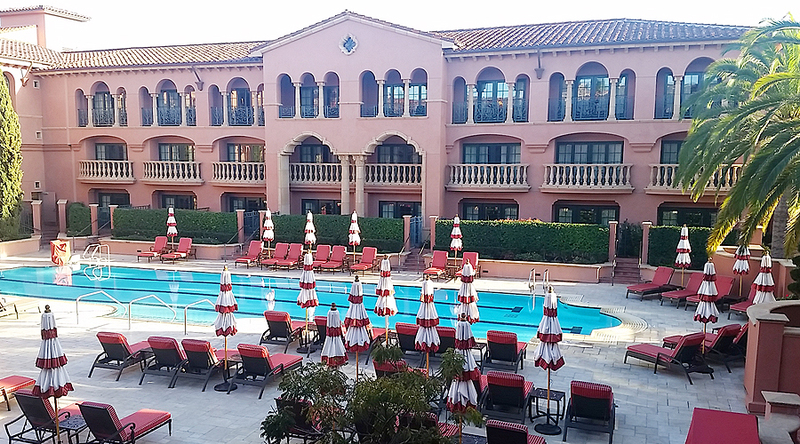 Everything about the Grand Del Mar is, well, grand. From the arched doorways and marble tables to the wood beamed ceilings, ornate stone and wrought iron accents, this place feels like you’ve just been transported to some old-world European palace. Ah, the suite life. 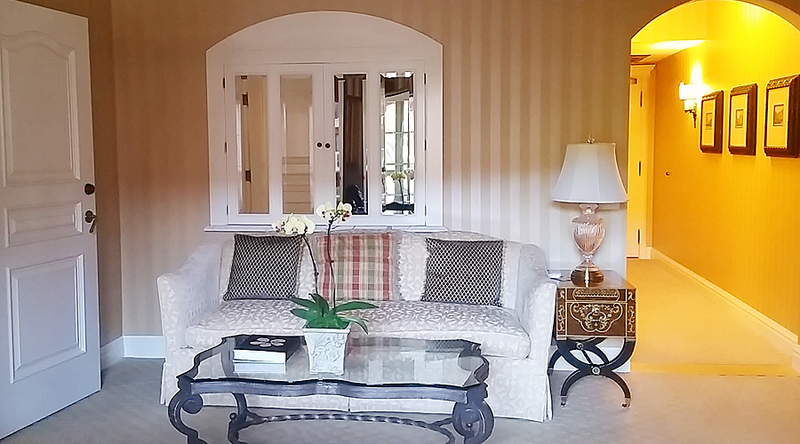 All 249 guest rooms and suites are set in a traditional style and feature a view of the golf course, canyon or pool. The quiet adults-only Relaxation Pool is one of four heated pools at the resort and features a huge Jacuzzi with cushioned seating around it. Even though it was like 50 degrees outside during my visit, I couldn’t resist soaking in the hot tub! 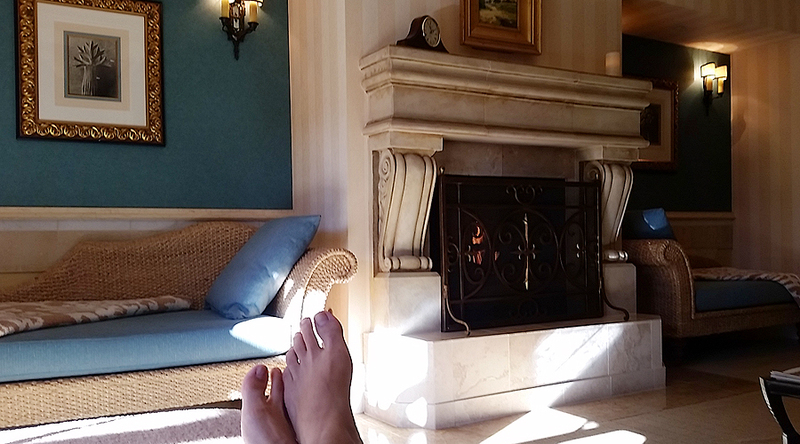 The Spa at The Grand Del Mar is so ridiculously serene and sumptuous you will not want to leave. As you surrender into total bliss, you’ll understand why it’s one of only 24 five-star spas in the country. Whether it’s the gracious staff ready to help you at a moment’s notice, the organic teas, warm fireplace, ultra-cozy blankets or canopy lounge chairs, relaxation awaits you at every turn. 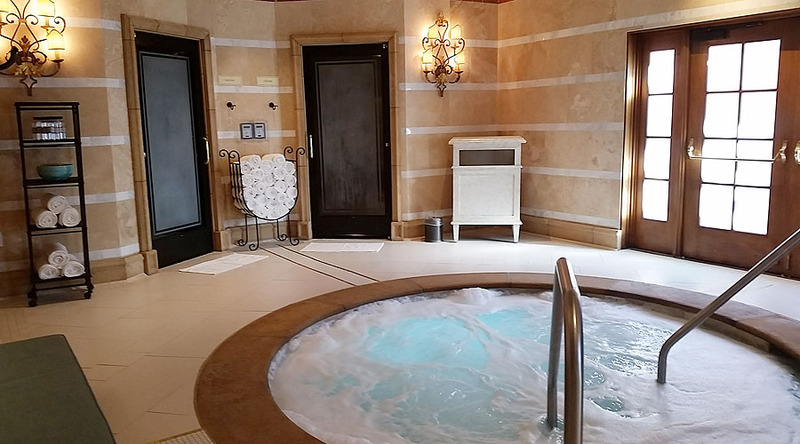 Along with the saltwater whirlpool, eucalyptus steam room and Renaissance-style touches, the spa is a must-visit even if you’re not staying at the hotel. I wanted the spa experience to last long after I left, so I simply had to buy something from their handmade organic product line – the 45 SPF tinted moisturizer is uh-maze. Every time I wear it I’m transported back to the spa! 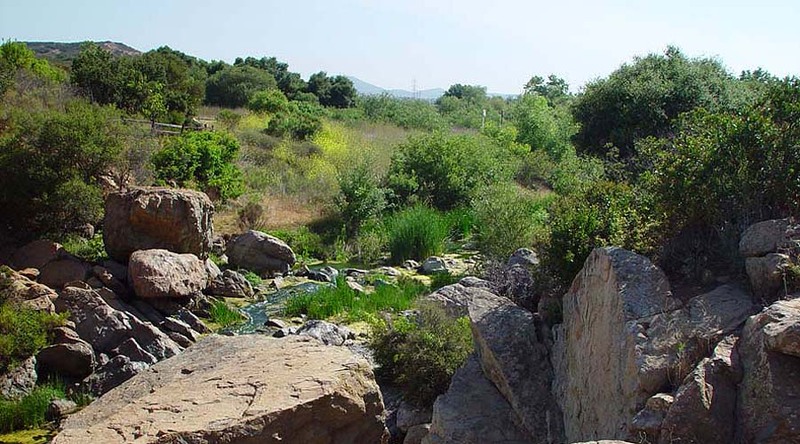 Even if you’re not an outdoorsy type, it’s hard to resist Los Peñasquitos (Spanish for “little cliffs”) Canyon Preserve’s 37 miles of hiking, biking and horseback riding trails. There’s nothing more refreshing than being among the rugged beauty, grassy hills, trickling streams and tree-lined meadows. 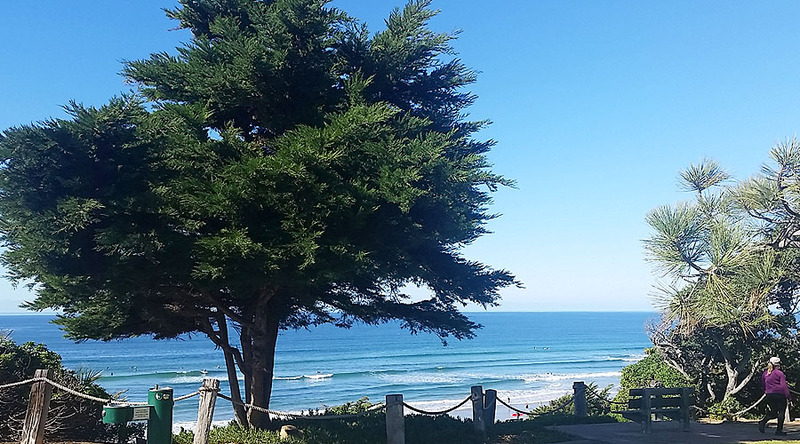 For an afternoon outing, head to Seagrove Park in Del Mar. 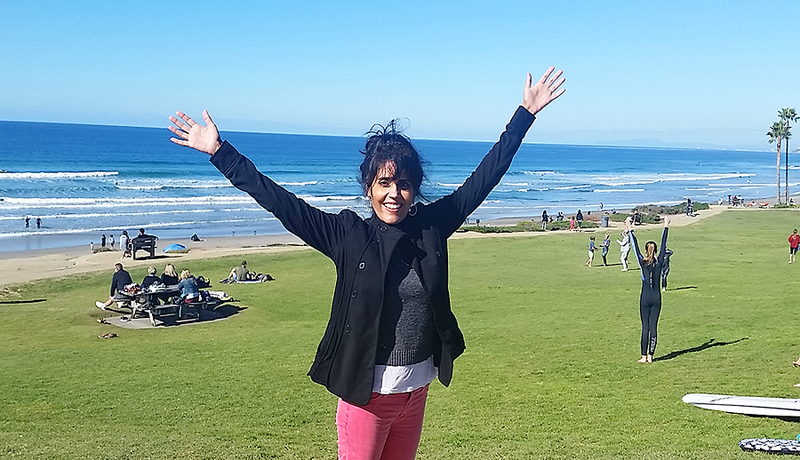 This adorable little park is just a block away from Del Mar’s downtown area and so close to the ocean. Located right next to Seagrove Park, this popular and more spacious park is literally just steps from the beach. 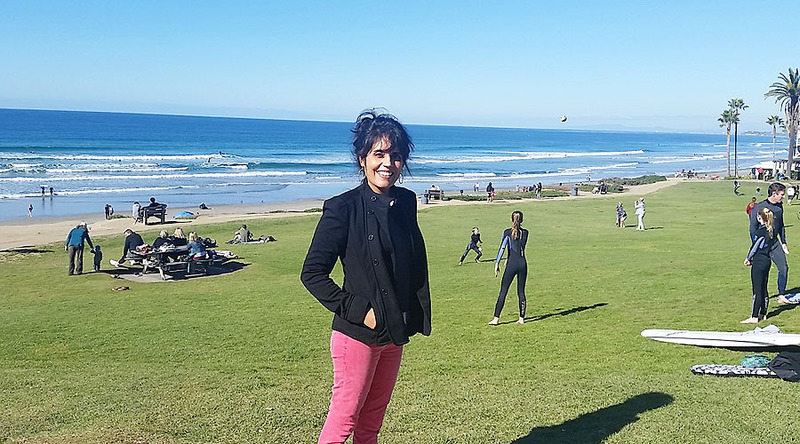 You’ll see plenty of families (some in wet suits) spending the day thanks to the park’s proximity to the ocean, large sandy playground and scenic grassy area. 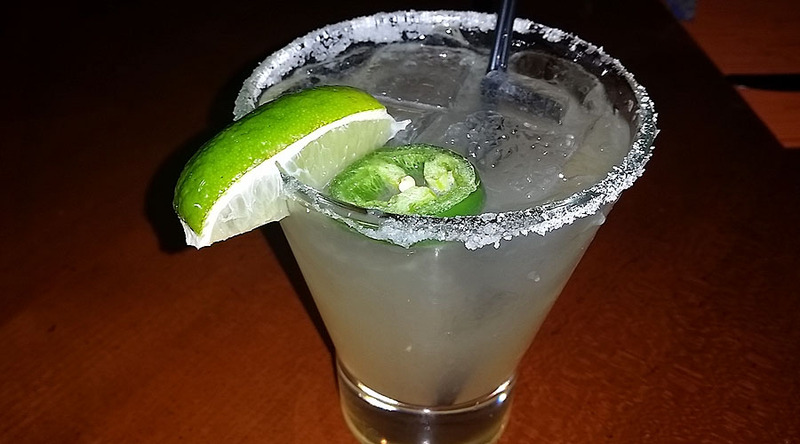 There are six dining options at the Grand Del Mar but the perfect prelude to a delicious dinner at Amaya is one of these spicy margaritas. Enjoy at your table or at the bar. Cheers! 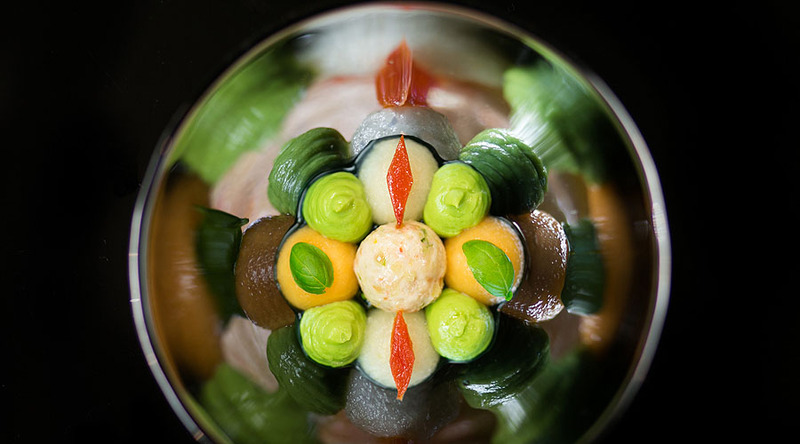 Amaya is an all-day restaurant that serves up American cuisine with a Mediterranean twist. 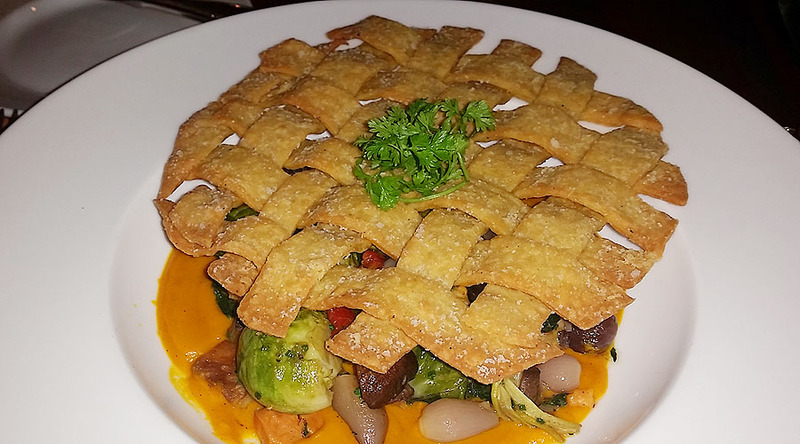 The kitchen was forewarned about my vegan diet, so Chef Matthew Sramek created this incredible potpie filled with root vegetables and topped with a chickpea flour crust. I love it when a chef gets creative and realizes that just because I don’t eat animal products doesn’t mean I only eat steamed carrots! 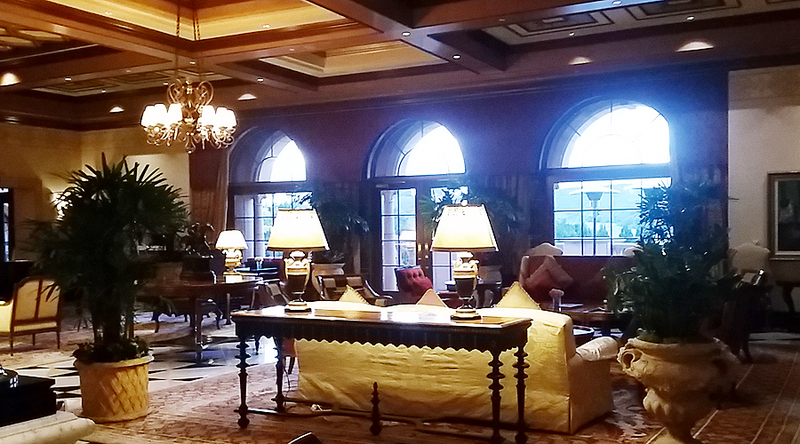 Addison at the Grand Del Mar is fancy at its finest. Executive Chef William Bradley’s sublime mix of local ingredients with contemporary French influences is a feast for your eyes and mouth.